As the first mass-market electric cars start to, slowly, hit the streets, the big question is whether battery-powered vehicles are the future or a fad. The answer won’t be known for years but a new report from GTM Research offers some interesting insights into where the electric road might lead. The report, “The Networked EV: The Convergence of Smart Grids and Electric Vehicles,” predicts there will be 3.8 million electric cars on the road worldwide by 2016, with about 1.5 million in the United States, 1.5 million in Europe and 760,000 in Asia. “It is the hope of this industry that just as cellular phones and laptops before them, EVs will begin as luxury products but will eventually become widely affordable,” wrote David J. Leeds, the report’s author. Leeds notes that it took a decade and three generations of the Toyota Prius hybrid to capture five percent of the California automotive market. He expects it’ll take a third generation of electric cars, likely to be introduced around 2018-2020, for carbon-free driving to break out of Berkeley, Portland, and other early adopter cities. It’ll come as no shock that Leeds estimates that 20 percent of electric cars will be sold in California, which currently accounts for 11 percent of total auto sales in the U.S. New York will follow with nine percent of electric car sales with Florida, Texas, and Illinois rounding out the top five. Predicting such numbers is a guessing game, of course, and electric cars sales will be determined by a multitude of factors, including vehicle cost, advancements in battery technology, gasoline prices, government subsidies, and the fickle tastes of car buyers. The early adopters of electric cars that will like drive the industry aren’t so much all those Prius owners but corporate accountants looking to keep a lid on the cost of company fleets of cars and trucks. He noted that fleets account for 15 percent of miles driven in the U.S. and that many of those vehicles travel fewer than 100 miles a day, the range of many current electric vehicles, and can take advantage of centralized parking and charging stations as well as lower electricity rates negotiated by big corporations. General Electric, which will buy 25,000 electric vehicles over the next four years, is aggressively promoting EVs among its corporate customers. Clarence Nunn, chief executive of GE Fleet Services, noted that a big cost of operating delivery trucks is the fuel wasted when idling in congested urban areas. Noise ordinances also can restrict delivery times for fossil-fueled powered vehicles. That’s not a problem, of course, for electrics. The blogosphere had been buzzing over reports of low sales so far of the electric Nissan Leaf and plug-in hybrid electric Chevrolet Volt. That, however, may be more of a production than a demand problem. 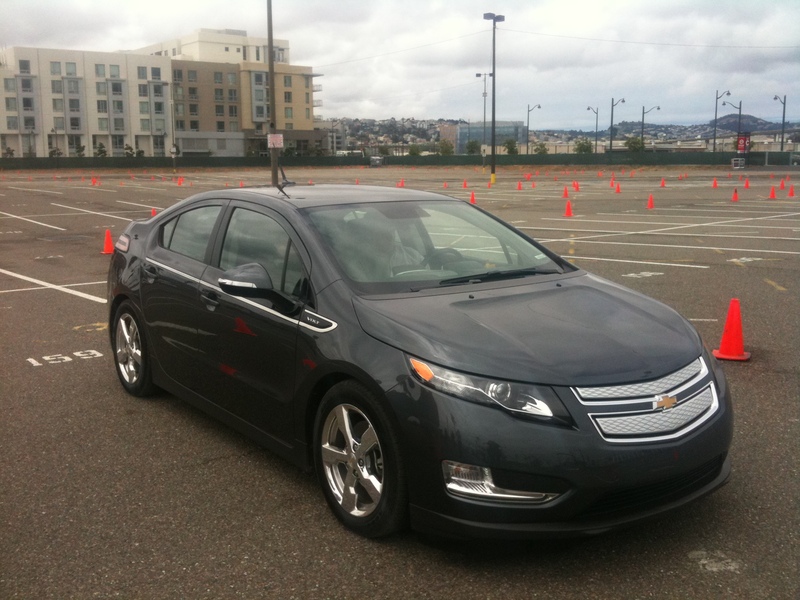 Leeds noted that nearly 250,000 potential Volt buyers had registered on GM’s site. “We’d like to buy more than they can build,” said Ramirez of the Volt and Leaf.